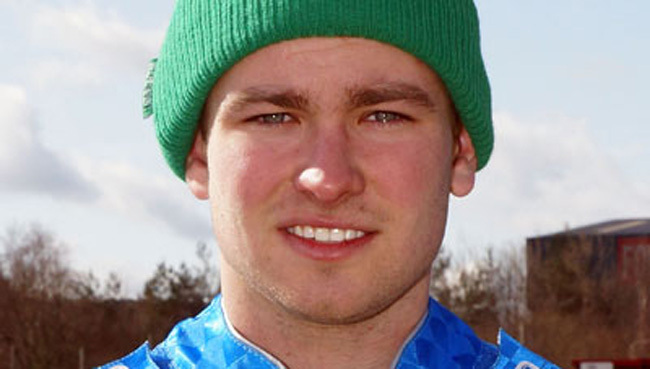 STOKE Easy Rider Potters went down to a disappointing 58-35 defeat against unbeaten league leaders Dudley Heathens in the National League at Monmore Wood on Tuesday night. The Potters provided only two race winners on the night as they relied heavily on Ashley Birks, Simon Lambert and reserve Ben Reade who scored thirty two of the Potters thirty five points. The Heathens got off to a flying start leading 14-4 after just three heats. In four resulted in a 3-2 heat advantage with Ashley Morris taking victory from Ben Reade after James White Williams fell while third and was unable to continue in the race and Ashley Birks having already being disqualified after he fell in the first attempt to run the race. Heat five saw Potters team boss Malcolm Vasey nominate Simon Lambert as a tactical ride but despite some superb racing he was unable to get the better of Heathens reserve Tom Perry with Byron Bekker taking third place for a drawn heat. Dudley added two further 4-2 heat advantages and a 5-1 to lead 34-15 after eight heats before the Potters gained their first heat advantage of the night and also first race win. Ashley Birks was introduced as a tactical ride in heat nine and he prompty delivered gaining all six points ahead of Bekker and Ritchings for a Potters 6-3 heat advantage. White Williams led heat eleven before Lambert and Morris drove hard inside him down the home straight Morris challenging the Stoke number one went wide and fell going into the third turn. Morris was then disqualified from the rerun as was Adam Wrathall who fell and was not under power when the race was stopped. In the rerun Lambert made no mistake as he took the chequered flag ahead of White Williams for a Potters 3-2 heat advantage. Ben Reade made a good start in heat twelve but could not hold on as first Perry and then Bekker went past to gain a maximum 5-1 despite the effort of Reade to repass the Heathens pair. Dudley finished off in the final two heats with two 4-2's to seal a comfortable 58-35 victory. Easy Rider Potters team manager Malcolm Vasey commented "For a team that is described as top heavy I would have expected us to win more than two races in a fifteen heat match so it is a very disappointing display by us tonight. There is no hiding away from it and everybody is aware of that and everyone is determined to do better, but we may well have to look at a few things as we cannot continue as we are and we will be looking to see if there is anyway we can improve things." DUDLEY 58: Tom Perry 15+1, Adam Roynon 15, Byron Bekker 12+1, Ashley Morris 6, Darryl Ritchings 5+2, James White-Williams 5+1, Dan Greenwood R/R. STOKE 35: Ashley Birks 12, Simon Lambert 10+1, Ben Reade 10, Tony Atkin 3+1, Adam Wrathall 0, Ross Walter 0, Liam Carr 0.